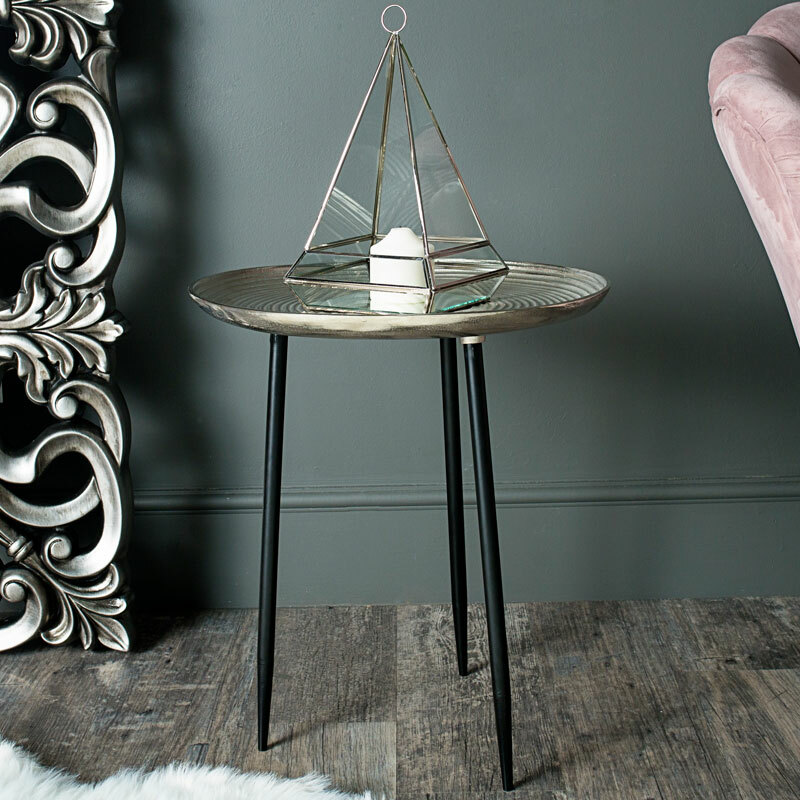 Add some modern, contemporary chic style to your living room decor with this elegant silver side table. Round top with ribbed design. A versatile piece of furniture that is perfect for using as a display table or plant stand in the living room or hallway. Offering great contemporary style that will easily fit in with many interiors With even more tables available to suit all decors. 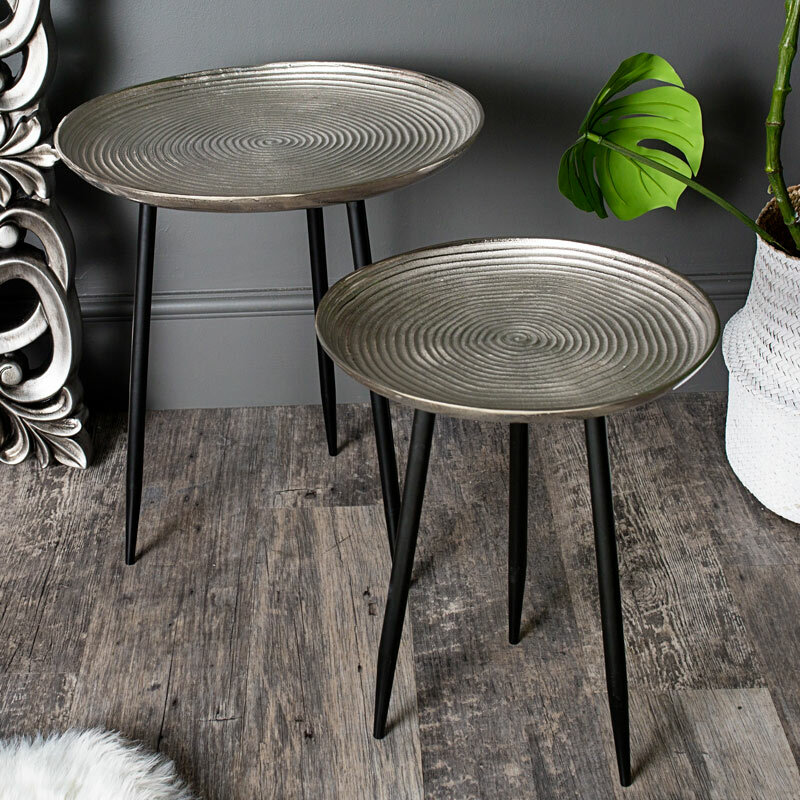 Add some modern, contemporary chic style to your living room decor with this elegant silver side table. Round top with ribbed design. With even more tables available to suit all decors. 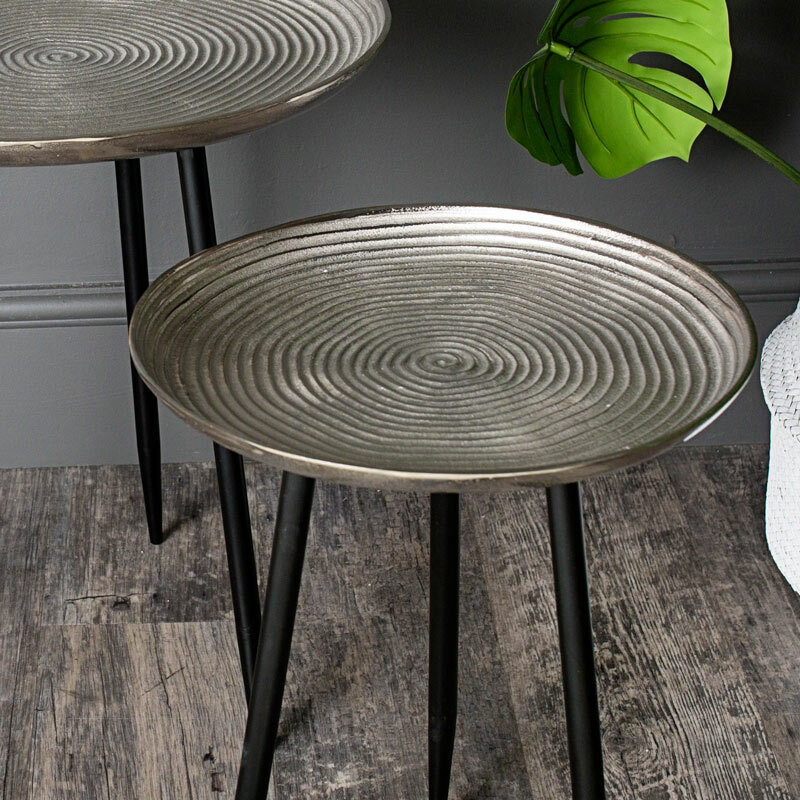 Silver aluminium table top with black iron legs. The table requires minimal assembly with the legs to be screwed into the underside of the tabletop. We have a fantastic range of side, nested, occasional and lamp tables. A great assortment of ranges from the vintage country style to the more modern, scandi style.